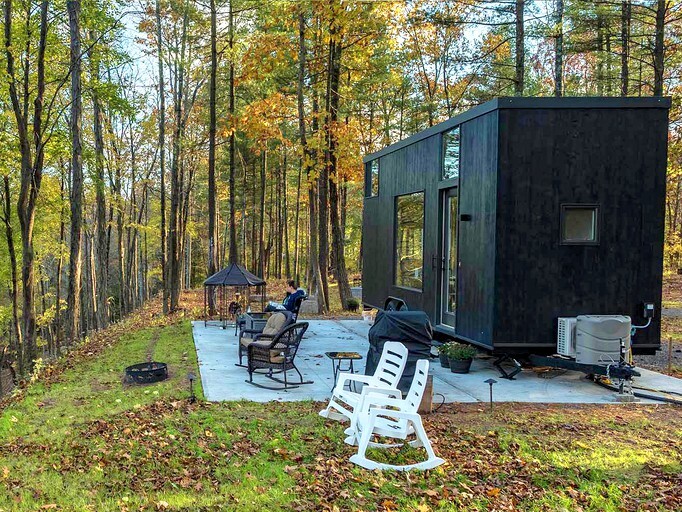 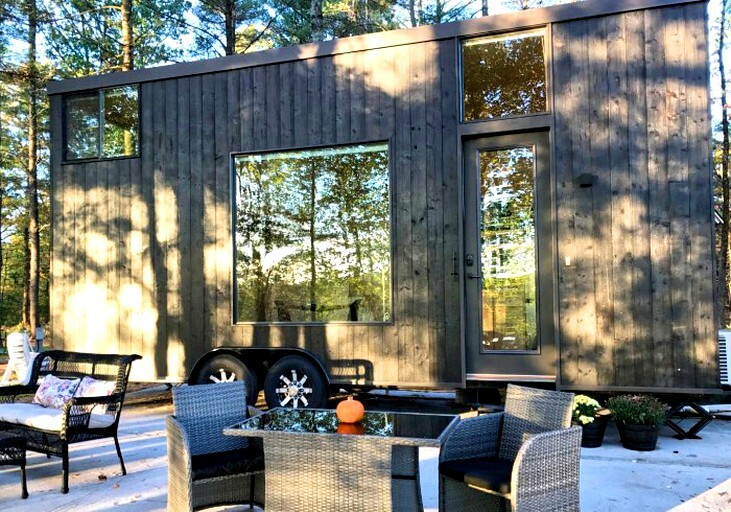 This idyllic tiny house rental is the perfect accommodation for a secluded weekend getaway near Albany, New York. 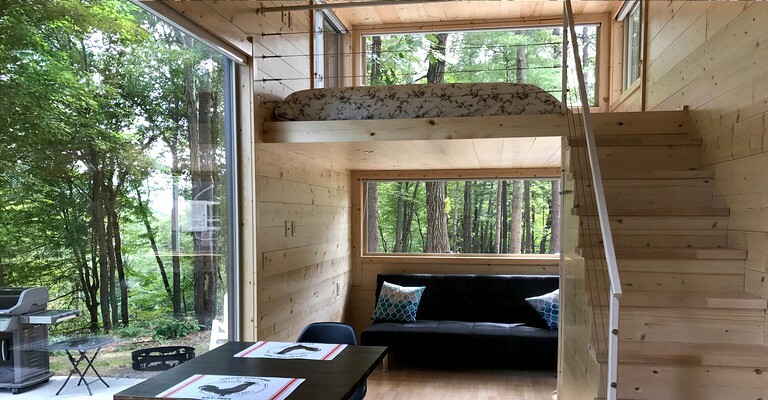 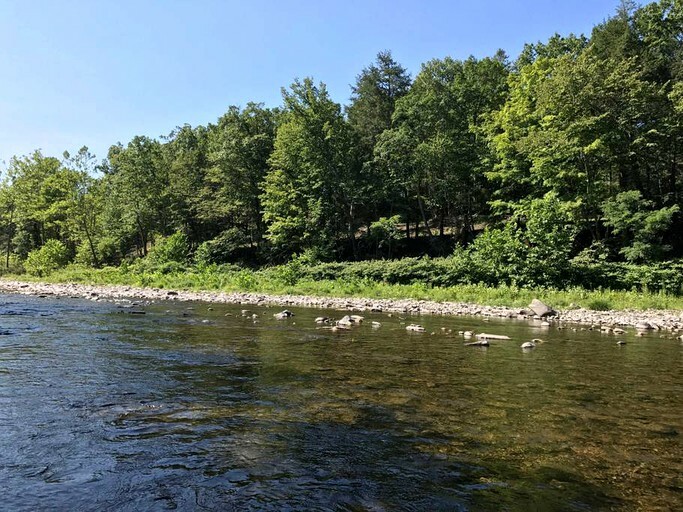 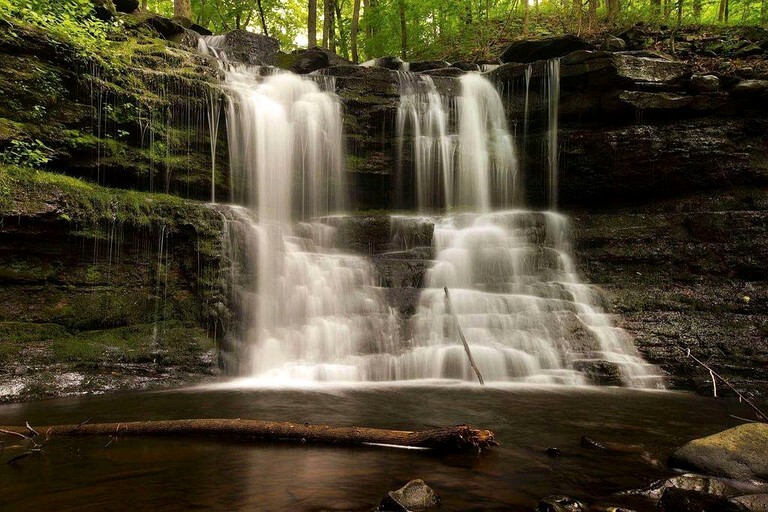 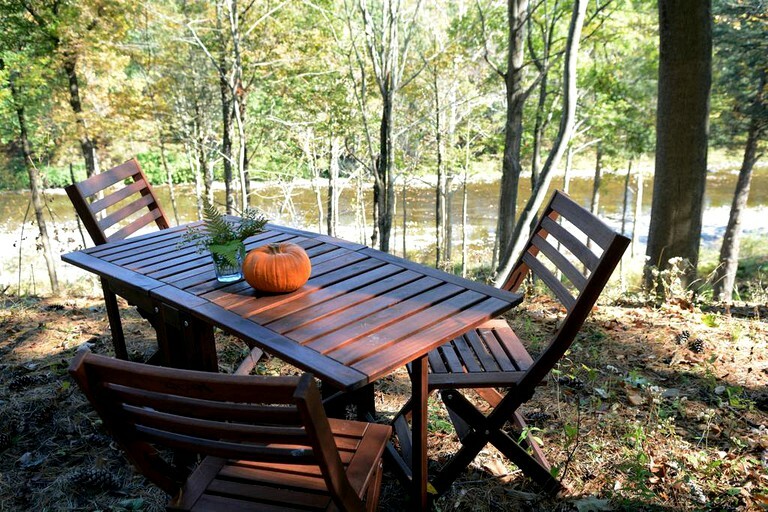 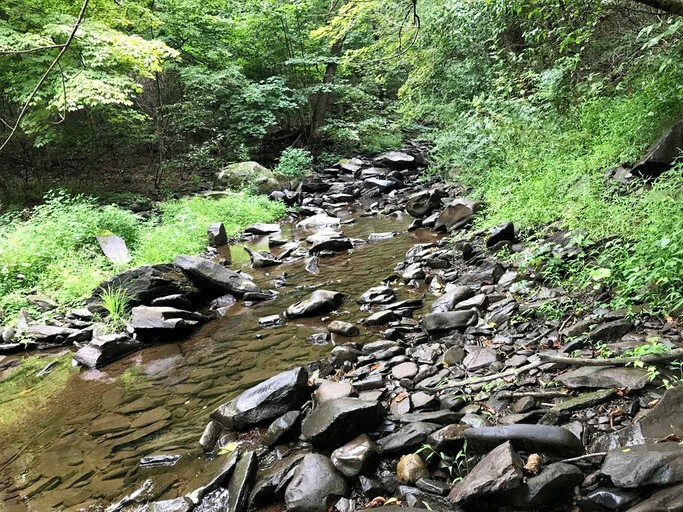 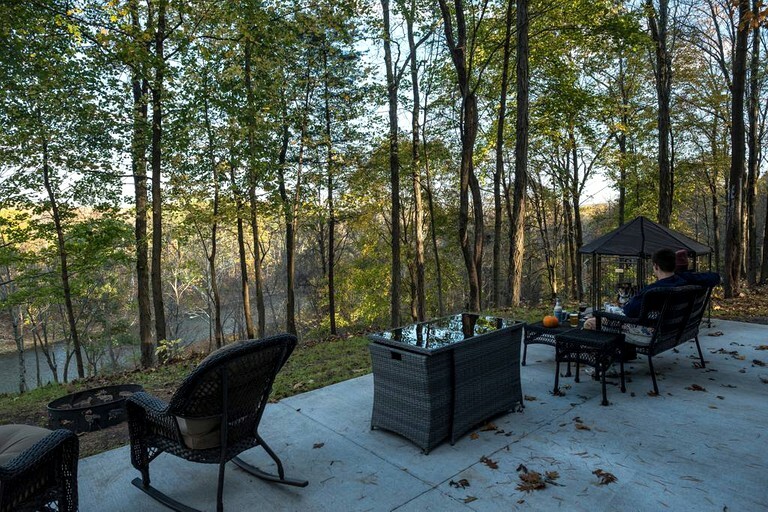 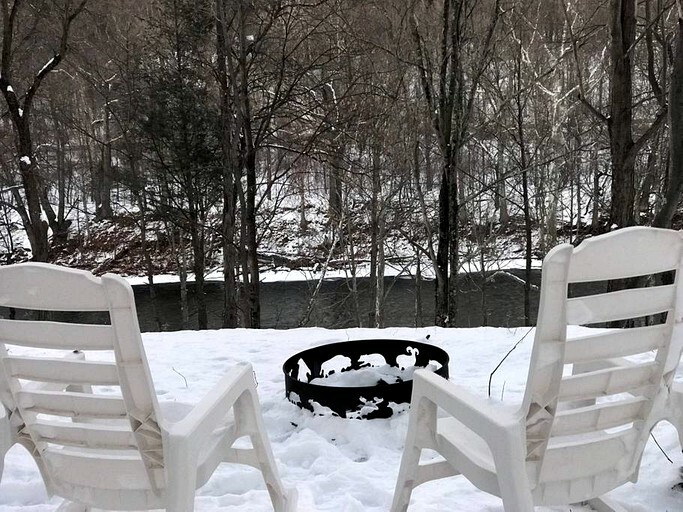 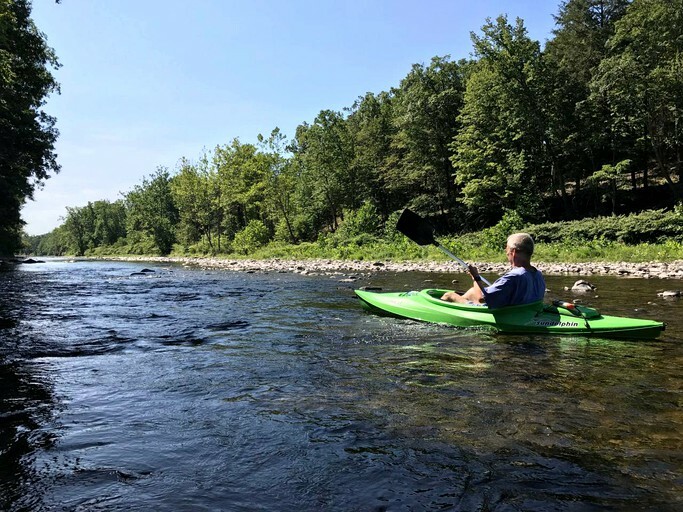 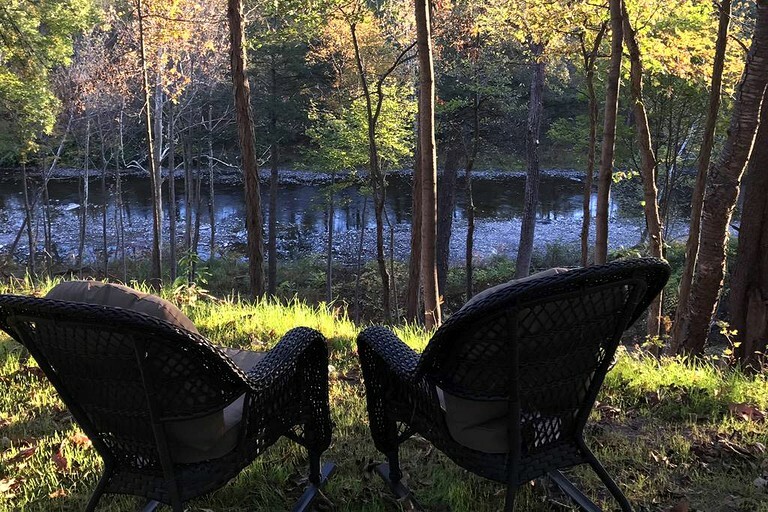 The tiny house, which is beautifully situated along Catskill Creek, can accommodate three guests comfortably. 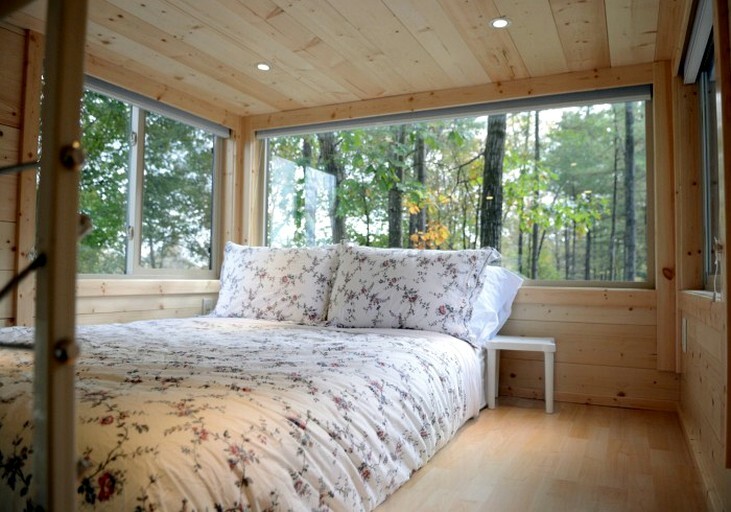 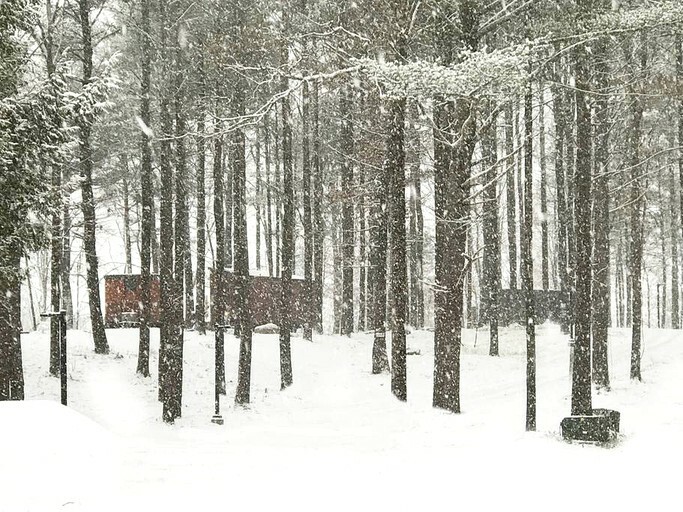 Inside, glampers will find two lofted areas--one with a queen-size mattress and the other with a twin-size bed. 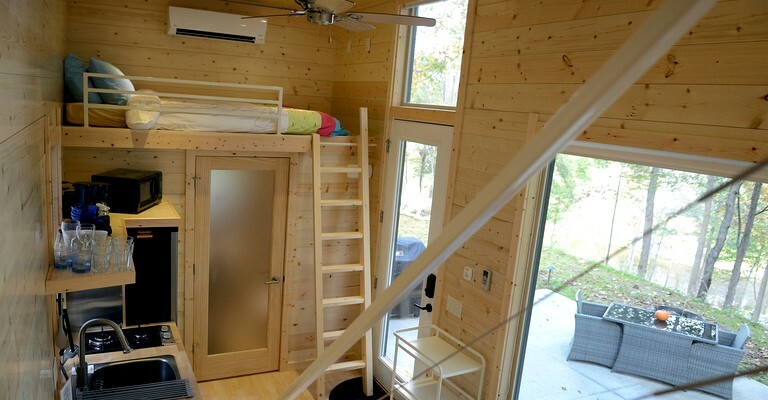 Guests will enjoy the comfort of the private, indoor bathroom which contains a sink, a toilet, and a shower. 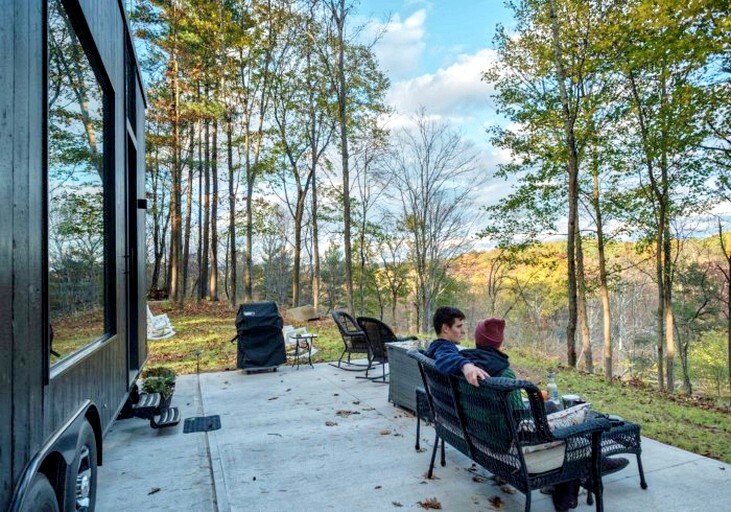 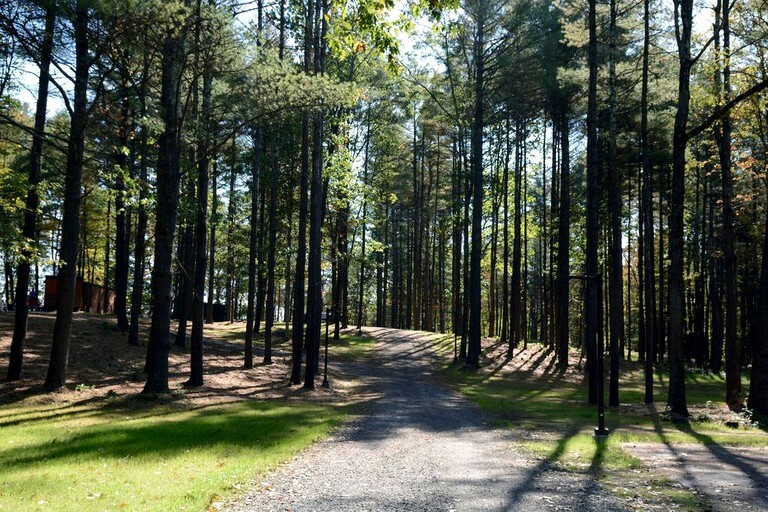 Glampers can easily prepare meals for themselves in the kitchenette, which is appointed with a two-burner stove, a microwave, a refrigerator, and a coffeemaker, along with cutlery, dishes, and cookware. 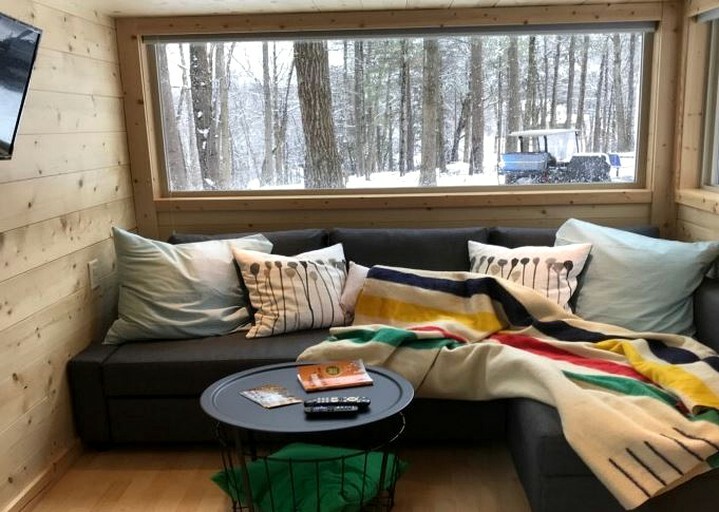 A sofa and a television can be found underneath of the queen-size loft. 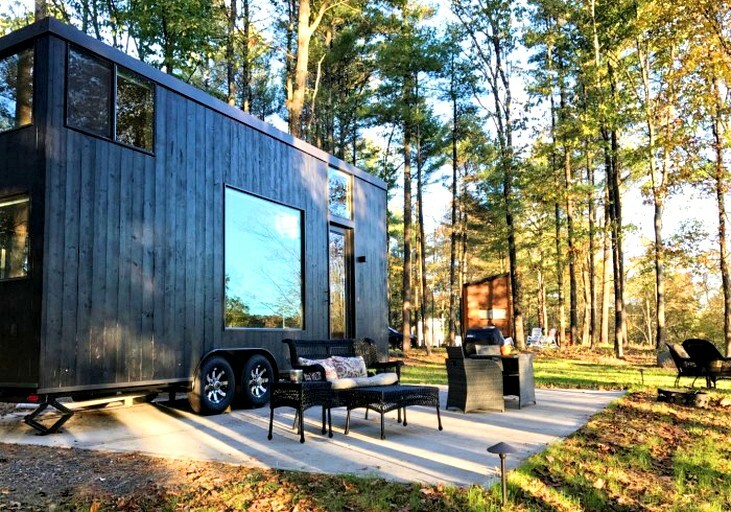 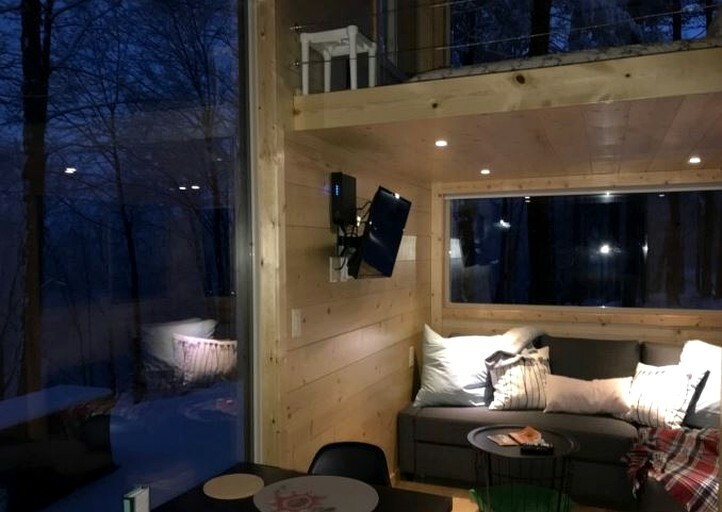 The tiny house comes equipped with Wi-Fi, Netflix, and cable programming.